I can’t say enough about how much we LOVE our Zarate Labrador, Obie. 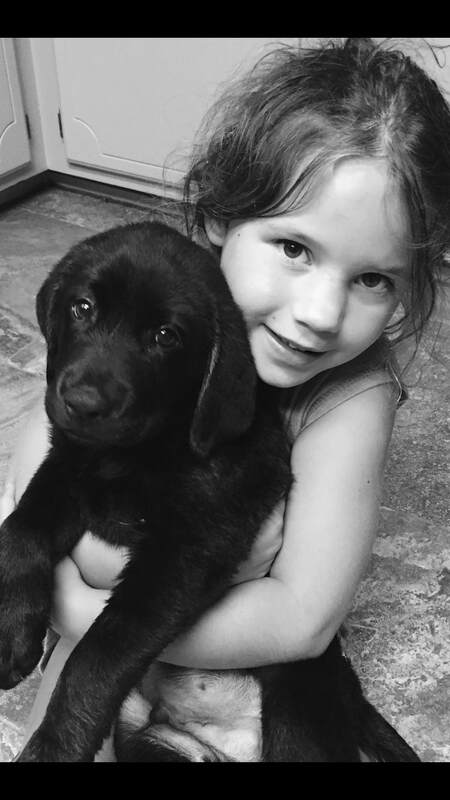 After losing our 14-year old chocolate lab in May of 2016, we had emptiness in our hearts and knew that we needed another fur baby to love. 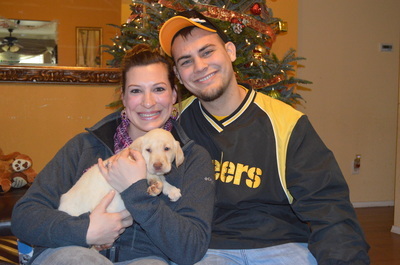 We wanted to find another companion, specifically an English Labrador retriever, to add to our family. A local woman, who had purchased a puppy a year previously, referred me to Zarate Labradors. Upon visiting the website and speaking with Michael, we learned that there was one black male puppy available in Shadow and Duke’s litter. I knew he was meant to be ours! Obed “Obie” joined our family in July of 2016. 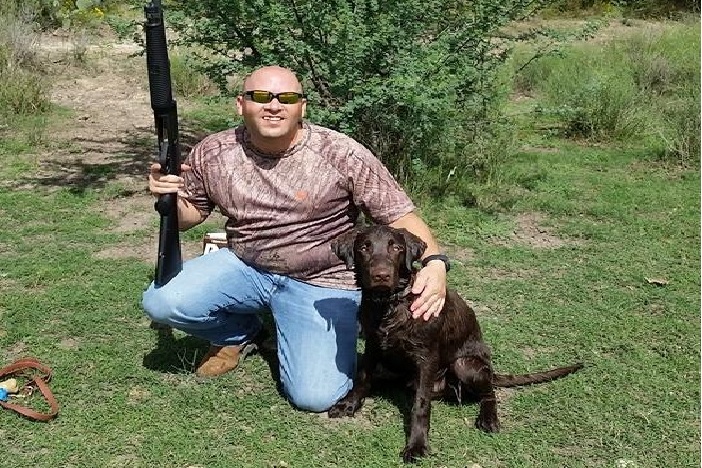 Although we are 9.5 hours from Cedar Hills, Texas, working with Zarate Labradors was a very smooth process. They were very helpful in answering all of our questions and arranging the pick-up. 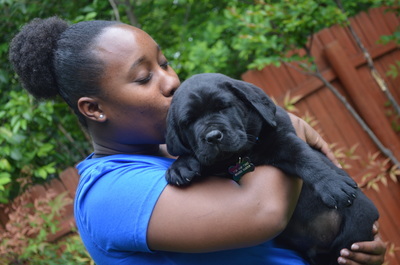 They were very informative and kept us up to date with his growth and progress until we were able to bring him home. We have also stayed in touch since with updates on Obie. 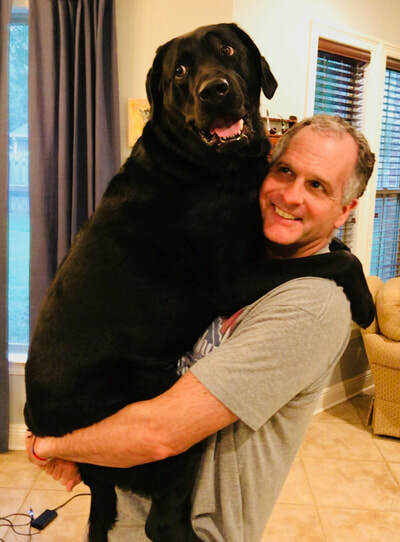 We could not be more pleased with Obie, all 105 lbs. of him. He is such a handsome boy! 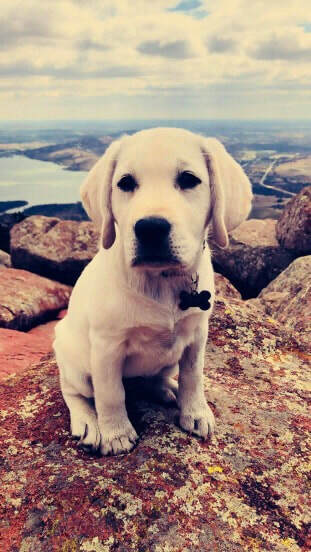 He has the beautiful build of his father, Duke and the irresistibly sweet face of her mother, Shadow. Obie has the most pleasant disposition. 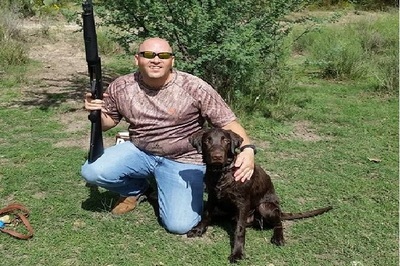 We enrolled him in a 6 week obedience program when he was 9 months old, and he responded very well to the training. He learned to “heel” and properly walk on a leash, he learned to “load up/kennel up” and he knows exactly what we are saying when we ask if he’s “hungry”, “ready to go”, or “want to go walk”. 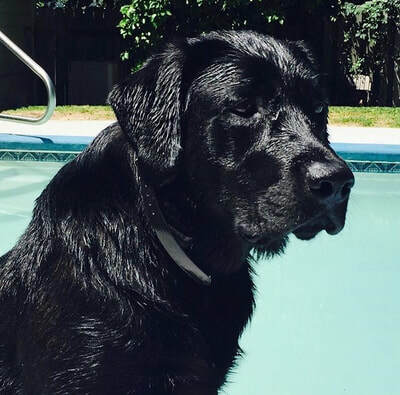 Obie is extremely playful – he loves playing ball and is an excellent swimmer. By the time he was only three months old, he was jumping off the side of the pool playing fetch. 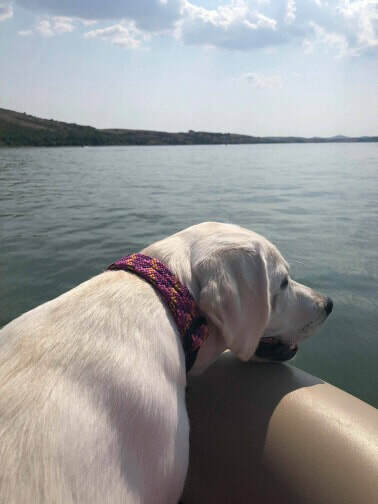 Keeping Obie out of the water became a challenge! He enjoys just being with us, doing whatever we are doing. He likes riding along while we run errands, he goes to the school carline, he even goes to work with my husband from time to time. He just wants to be close…sometimes that’s watching my daughter play dolls and other times its supervising yardwork, snuggling during a movie, or curling up on the ottoman during the evening news. To say Obie is a “great dog” is simply an understatement. He isn’t just a dog at all, he’s a member of our family. 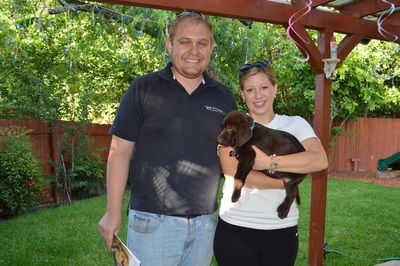 Thank you Zarate Labradors! We are so happy that we chose Zarate Labradors as our breeder for our beautiful “white” lab, Layla Grace. We lost a beloved family member in February, leaving a huge hole in our hearts. Although Savannah could never be replaced, Layla has thoroughly charmed us. We couldn’t imagine our family without her. Layla (born January 31, 2018 to Angel and Pisco) ­­has proven to be quite the character and really keeps us laughing. 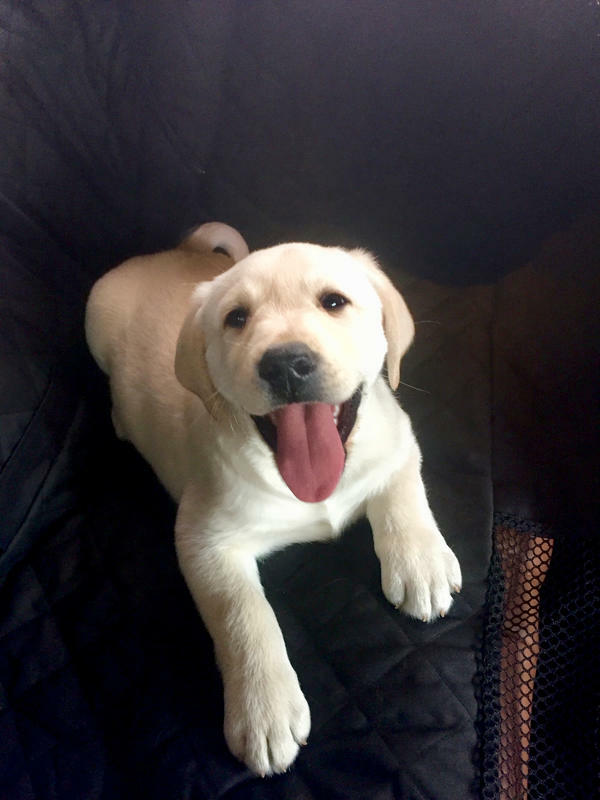 Her playfulness has also brought new life and joy into our other lab, Shiloh. 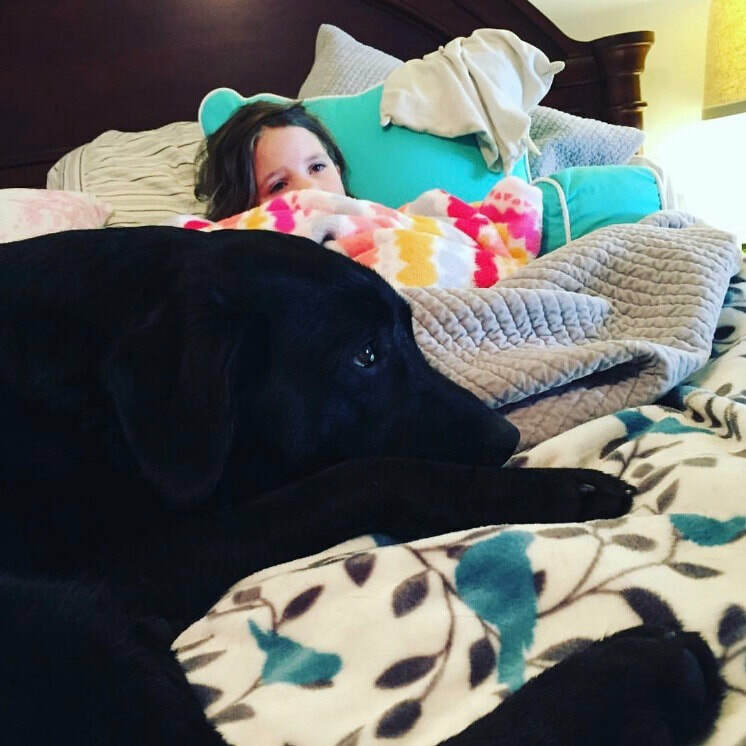 She is 10 years old and was clearly suffering depression after losing her best friend for her entire life. Now, she and Layla run and play for hours and then cuddle up to nap together. We were so pleased with the Zarate home environment. The puppies all had good dispositions. Layla’s sire, Pisco, is so beautiful and loving with his puppies. He’s very patient and has such a sweet temperament. After Angel’s litter was born, the Zarate website posted weekly photos so we could watch them grow. Layla is 6 months old now and everyone that sees her remarks on her beauty. 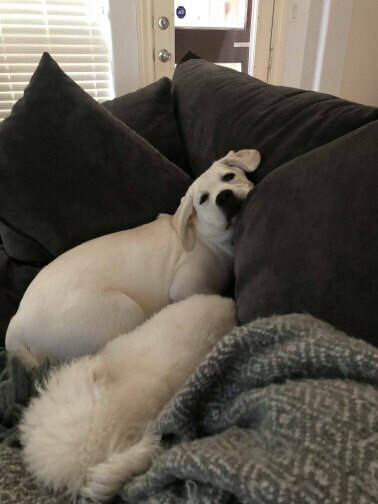 She has been spayed and will stay our little puppy forever. 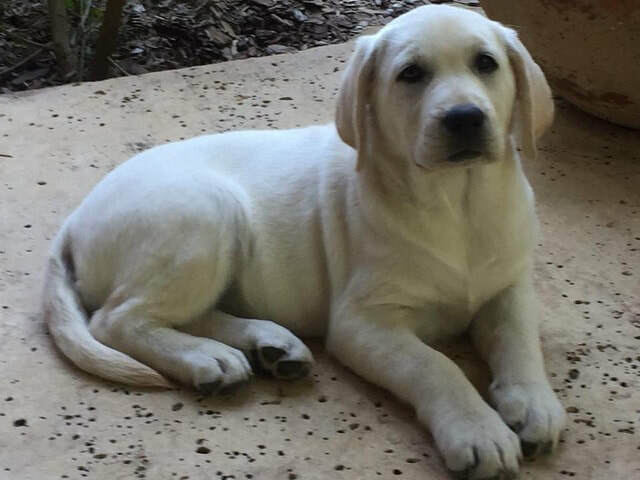 Zarate Labradors produces healthy, strong, smart, and beautiful dogs. We highly recommend them as breeders. My sweet girl Bentley was the best graduation present a girl could ever ask for! 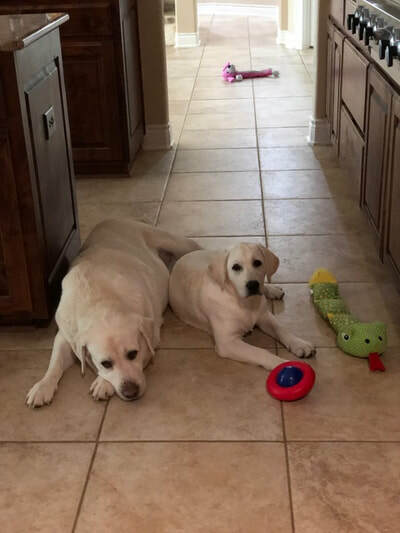 I came across Zarate Labradors’ website and instantly fell in love with the look of the labs in the Zarate family - big, strong, healthy dogs. Every communication between us and the Zarate family was always kind and prompt as well! I wasn’t sure how I was going to pick out my girl, but Bentley came right up to me and it was meant to be ever since. Potty training and learning tricks came second nature and she hasn’t had an accident since 10 weeks. Bentley gets along so well with my 13 year old Bichon and never meets a stranger. It’s so comforting knowing that other people can bring their dogs over and I never have to worry that Bentley will snap at or bite at both the other owner and dogs. She’s always up for adventures and travels like a dream. 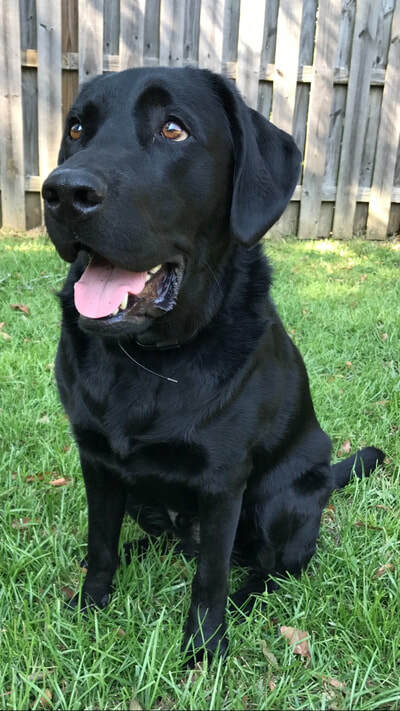 She truly is the best dog, and I’m so thankful I found Zarate Labradors to bring us together! First, we would like to say thank you for allowing us to bring Harvey into our family. The day Harvey was born we were so excited. I even wrote "It's A Boy!" on our calendar. The fact of knowing we wouldn't miss a week of watching him grow, eat, or play was the best! It made us feel like we didn't have to wait eight weeks to see him. I've spent so much time searching for my dream dog and then I found Zarate Labrador's. You've taken the best photos one could ever have of puppies. All of your dogs are beautiful with very nice, thick, and shinny coats. All the puppies came out so fat, CUTE, and healthy. Everywhere we go someone tells us how beautiful he is or ask where he came from. I become very excited about sharing my story and your website information hoping Zarate family can make another family happy as much as you have made ours. Thank You Zarate Family for bringing extra joy into our lives! 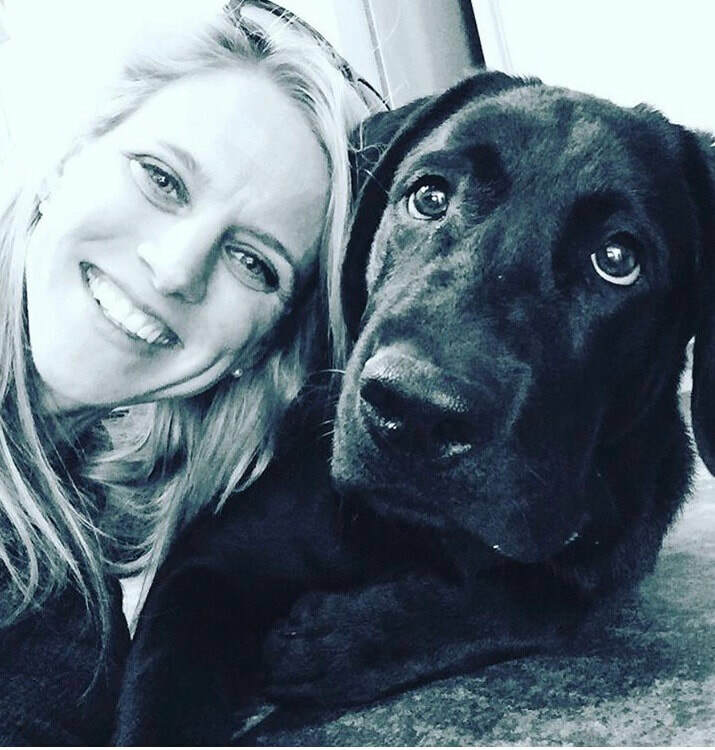 Since adopting our puppy Harley from Zarate Labradors, he has enriched our family in so many ways! We instantly fell in love with his playfulness and sweetness. We love to spend as much time with him as possible whether that be taking him to the dog park, going swimming, or just cuddling up with him in our living room. Zarate Labradors was very easy to work with and they have the most beautiful labs. It is apparent how much love and attention they give to their animals. 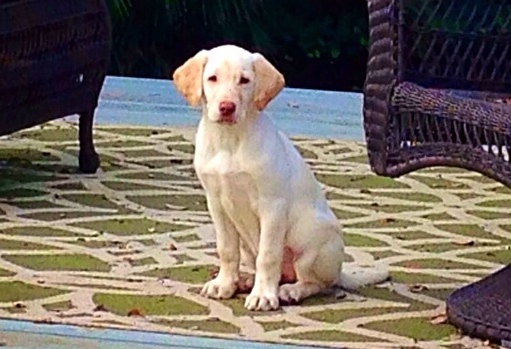 Harley is growing into a beautiful dog with lots of love and puppy dog kisses to give! Heidi, David and Kaitlyn Massin. Zarate Labradors has turned our house back into a home. We got Jake in the summer of 2014, and since then he has made every day a treasure. 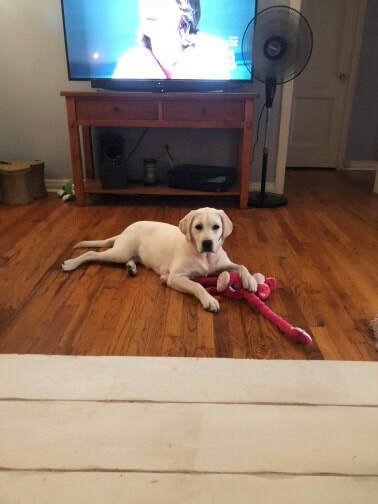 Out of the 5 labs we’ve had between the two of us, he is the most calm puppy and remarkably intelligent. He’s happy, healthy, affectionate, extremely well-mannered in all situations, and has a great sense of humor. He keeps us laughing every day. Not to mention he is gorgeous! He turns heads everywhere we go, and is a favorite at the vet’s office. He exceled in obedience classes as the youngest in the class, and is tolerant of all grooming. He loves getting his teeth brushed! When we first found the Zarates, we were drawn to their attention to detail. You could tell they loved the puppies as much as we did. Their kennel is a great facility and whelping pin was pristine. 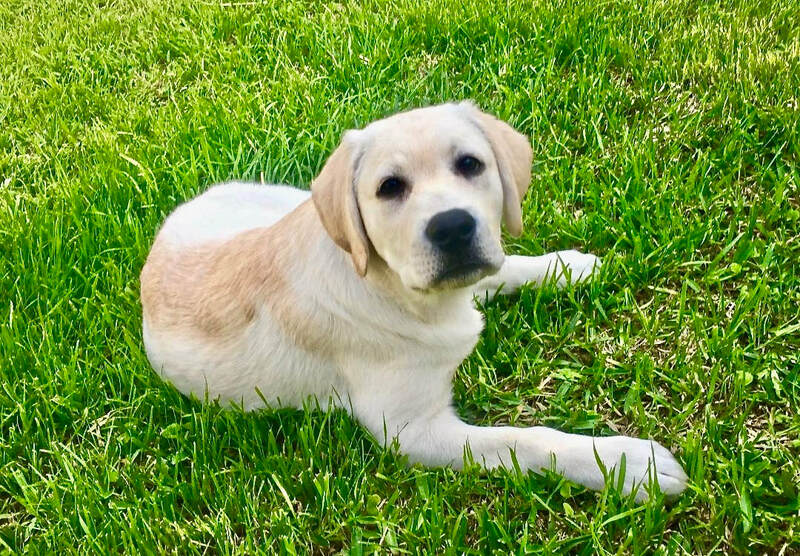 You’re able to meet all their dogs, including the parents and it becomes obvious these dogs are not just a business for them, but members of their family. Every detail is covered to ensure your babies are well taken care of, from temperature control to 24-hour video surveillance, and all the necessary medical care. Then we got to meet the litter! Coco being a good mother wanted to be there to show off her pups! And that’s when we fell in love. I knew Jake had picked us when he chose my lap over feeding time. 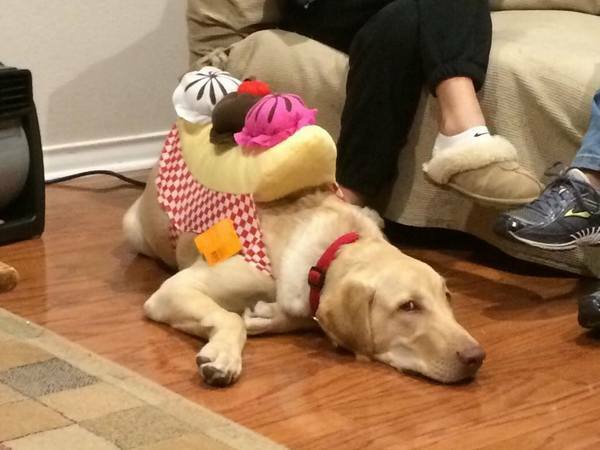 And much like any other lab, it would probably be the last time he chose anything over food! The weeks that followed were the longest of our life! Luckily we looked forward to constant updates and a weekly video so we could see our little guy grow. 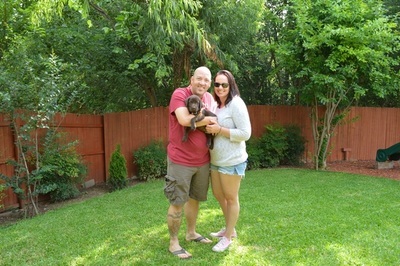 And when that still wasn’t enough, the Zarates welcomed us into their home to visit with our little guy any time. But what really sets the Zarates apart is that it doesn’t stop there. They love staying in touch and getting updates on their puppies, and are there for you if you have questions. We encourage everyone looking for a puppy to contact the Zarates, and in a few years if Jake needs a little sister, we’ll be going back to them. 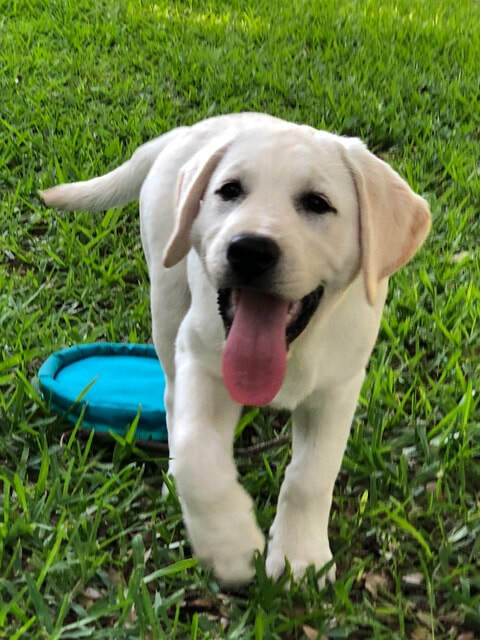 Our decision to add a Labrador to our family was a great one, but our decision to choose Zarate Labrador's for our new family member was an even better one! 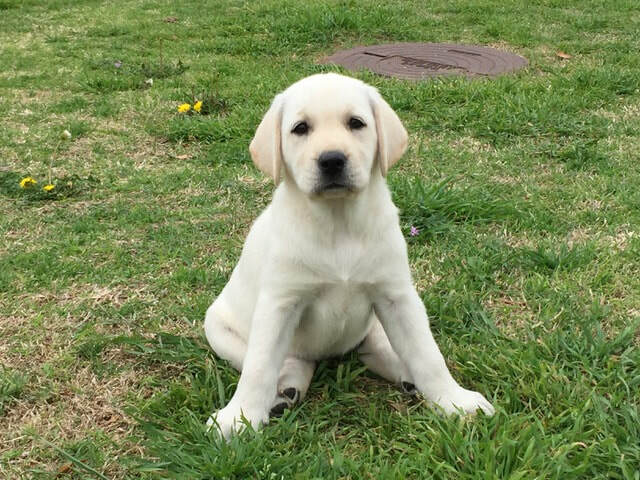 Luna, our very affectionate lab puppy, was born November 2014. Working with the Zarate Family, has been such a pleasure and so easy! 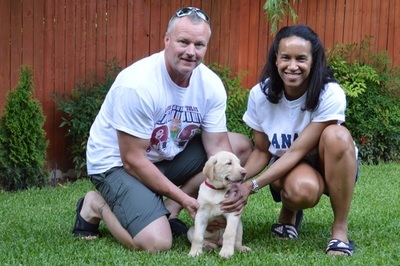 They worked with us to find time to visit our puppy frequently until it was time for her to come home. They would send photos and videos to help us get through the weeks while we waited for our new addition. 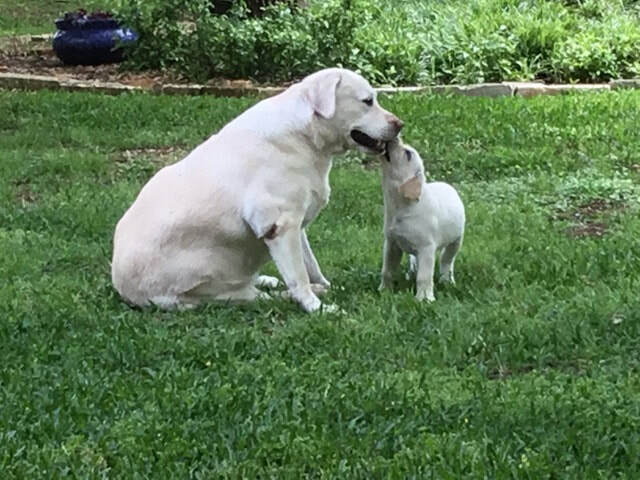 When we brought Luna home, she instantly bonded with us and our other family dog. It didn't take long at all before she was potty trained and sitting on command. She is extremely intelligent! She loves to play fetch, but most of all, this girl loves to cuddle (and sit on us)! We were looking for a companion, and that is definitely what we got! Wherever we are, she wants to be right by our side.Our love for Luna and her incredible personality makes it a very simple decision to return to Zarate Labrador's for the future. 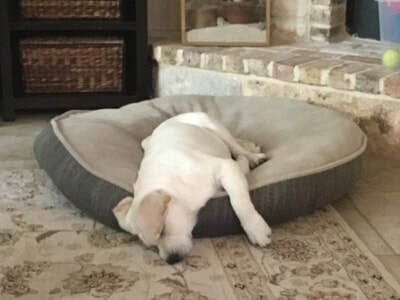 They take such wonderful care of their healthy puppies and their parents, and they welcomed us into their homes to help us find the perfect new addition to our family! I wanted to take a moment to thank you for breeding such wonderful companions! My family and I began our search for a family dog about 8 months ago and decided on a chocolate lab. They are a wonderful family dog with gentle demeanors and active personalities. Leo was no exception and he did not disappoint! We have had the wonderful experience of bringing him home and he has been an awesome addition to our family of 7. The great thing is Leo's ability to adapt to training. 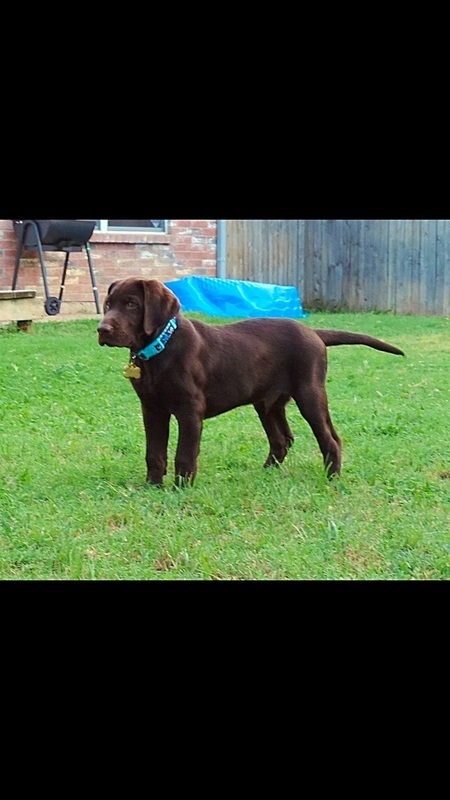 He took to crate training and basic obedience training very quickly and has even began to retrieve birds both on land and in water! We can't thank you enough for the wonderful experience we have had.Your kennel was wonderfully kept and the love you have for your dog's is amazing! 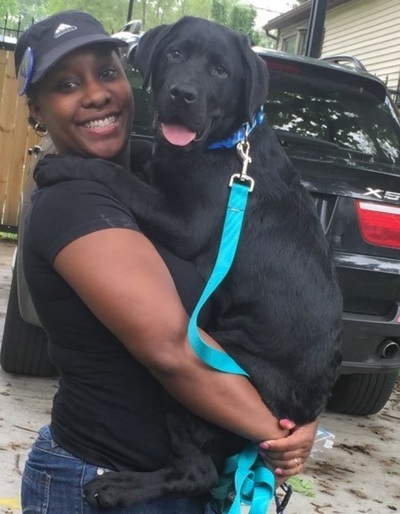 We have kept in touch and you have continued to show interest in Leo's progress even after we took him home which shows your love for each dog that comes from your family. When you say Zarate Labradors Family you truly mean it. Michael and Melissa Reyna and Family. On June 19th, 2014 we came to your home to pick up our new yellow Lab, Austin. At that time he was a mere eights weeks old: very cute and very curious (he still is). We brought him home and immediately started potty training, which he thankfully learned very quickly, eventually ringing his bell to go out all by himself. Austin has grown incredibly fast and developed into quite a handsome dog, regularly receiving compliments wherever he goes. 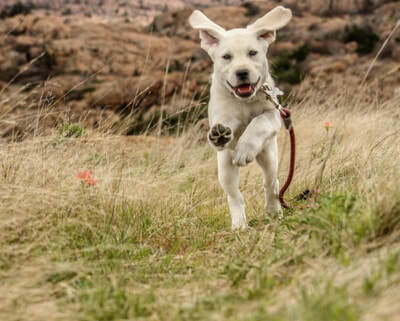 He is full of fun and boundless energy. 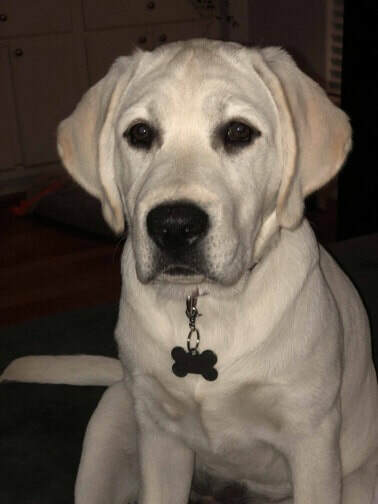 Currently he is in puppy obedience training, learning fast and grasping commands very well at six months old. We are excited to have found such a healthy, beautiful Labrador from your family. Thank you for your diligence and care in preparing him to join our home.